We spent all day cleaning and working on meal prep. I spent a good amount of time in the kitchen so come along with me. Digger was getting sun in the living room and watching Greg’s leftover Chipotle Bol. I love watching him get so comfortable in the sun. 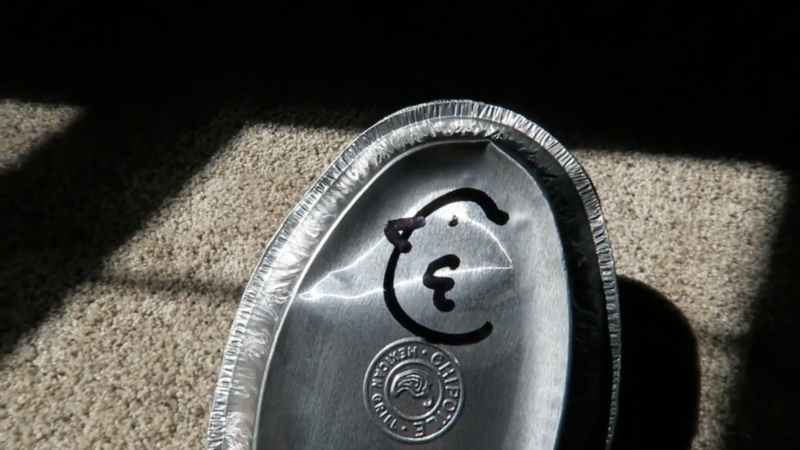 Greg and I bought the same thing from Chipotle but the girl drew a chicken on his bol lid. I think she was flirting with my husband 😉 She did a good job with the drawing so I will give her a little credit. I love to clean the house with music and on Sunday I choose my chill playlist from Apple music. Sunday meal prep and house cleaning are turning into our regular weekend activity. I was embarrassed by our old style cast iron sink because it’s not shiny or pretty like so many others. I’ve come to love the old kitchen and the age spots on it. They don’t make quality products as they did back in the ’50s. It’s also a great way to thaw meat for meal prep. I love it so much! We did get a new countertop when we moved but keeping the cabinets was my idea and Greg loves the cast iron sink. Marriage is all about compromise and sometimes you are happy that you gave a little to the other side. I’m not sure that we will keep the kitchen like this forever but now I’m loving it. Greg is saving coffee grounds to put in the garden because it’s should help fertilize it. I just wanted to point that out while I was cleaning the kitchen. My man filled my tank with gas for the week and when he came home it was time for meal prep. After we let everything cool we bag everything up in the correct portion sizes so it’s easy to grab and go during the week.